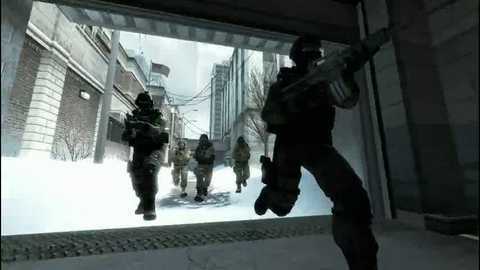 Valve's downloadable shooter launched last month for PC, Xbox 360 and PlayStation 3 in the US. But European gamers were left without - prompting an angry response from fans. "We know many of you are awaiting word on Counter Strike: Global Offensive but unfortunately we currently have no new information to pass on," PlayStation Store team member Jawad Ashraf wrote on the EU PlayStation blog today. The Walking Dead Episode 3, already out in the US, was also again missing. Instead, PlayStation 3 and PlayStation Vita players can download the new HD version of Metal Gear Solid 2: Sony of Liberty and Metal Gear Solid 3: Snake Eater. Each costs £11.99. Vehicular combat car crash Twisted Metal is available to download for £23.99 on PS3, accompanied by the PS2 Classics release of Twisted Metal: Black (£6.49). New DLC is also available for Battlefield 3 (latest expansion Armored Kill, priced £11.99) and Call of Duty: Modern Warfare 3 (Elite Drop 19, free for Elite subscribers). And there's a PS minis indie bundle, which wraps up Wizorb, Canabalt, Enigmo, Galcon Labs and BreakQuest for £4.99. Finally, PlayStation Plus members can now download Red Dead Redemption for free. It's this month's free game, as Sony announced back at Gamescom. ...but you can only play against bots.